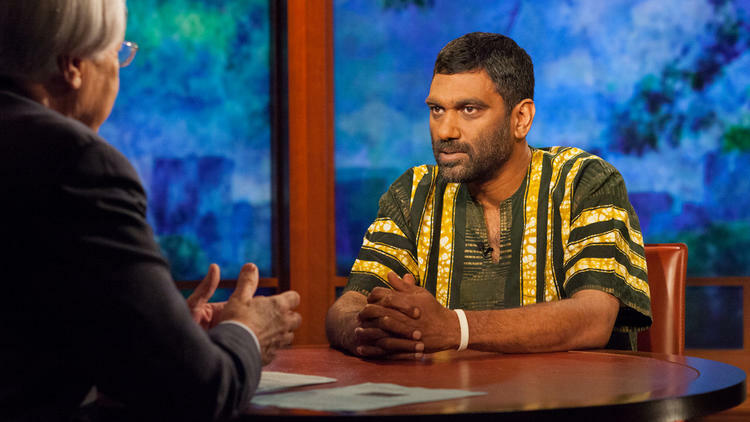 “On this week’s broadcast, the charismatic Greenpeace International Executive Director Kumi Naidoo joins Bill to discuss the politics of global warming and the urgency of environmental activism. As of this moment Vladimir Putin’s government is holding in custody the Arctic Sunrise, the command ship of the environmental activist organization Greenpeace International. The ship was seized by armed members of the Russian Coast Guard last week after Greenpeace activists tried to board an offshore oil platform as a protest against drilling for fossil fuels in the fragile environment of the Arctic, where global warming has reduced the sea ice cover 40 percent since 1980.